Windy City Publishers, 9780981950501, 273pp. "This was the moment I had been dreading the most. Jack couldn't help. The lies that I would tell would be mine and mine alone." Charming Adeline Harris thinks she has it all figured out. That is, until she unthinkingly betrays Jack, her friend and childhood sweetheart. When he refuses to forgive her, she turns to his handsome and mysterious cousin, whose secrets turn out to be more than Addie had bargained for. 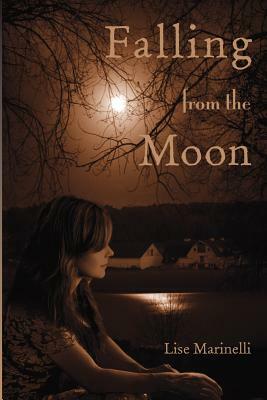 As Hitler's war spreads across Europe and the last of the Great Depression lingers, Falling from the Moon, a vintage love story, follows Adeline as she works her way out of the hole in which she inadvertently finds herself. Her parents, George and Susie, are battling their own demons -- and nobody's plans turn out as expected.